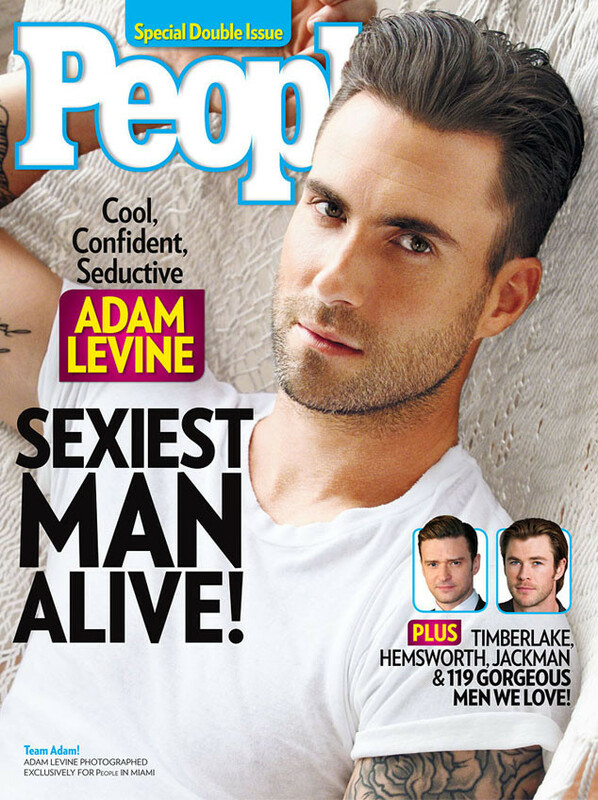 From MTV UK, “Maroon 5 frontman Adam Levine has thanked Ryan Gosling after being named People magazine’s Sexiest Man Alive for 2013. After beating the likes of Justin Timberlake and David Beckham to the title, the singer was quizzed about winning the accolade on Jimmy Kimmel, joking that Gosling’s reluctancy to accept the award helped his case. Despite being named this year’s sexiest man, The Voice USA coach revealed that he hasn’t always been a looker, telling Kimmel: “Becoming this cool, confident and seductive has been quite a journey. A lot of people trivialise this sort of thing. Speaking of the other hotties who have previously won the title, Levine also delivered a hilarious skit, complete with vanity mirror and fake award, stating: “George Clooney, Brad Pitt, Johnny Depp, George Clooney, George Clooney, Brad Pitt, Johnny Depp and George Clooney, of course.